Full Professor at the University of Lausanne and Head of the Pulmonology Service at the University Hospital (CHUV), Lausanne, Switzerland. 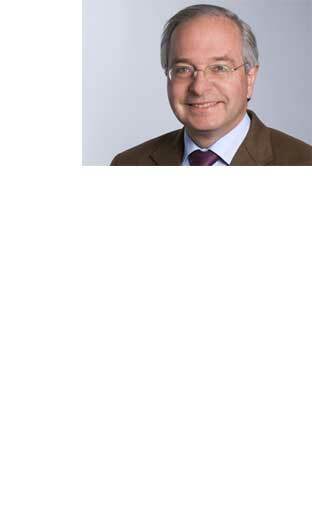 Born in Lausanne in 1953, Prof. Nicod is an internationally renowned clinical pulmonologist. He obtained his diploma in internal medicine in 1978 at the University of Lausanne and obtained his Doctorate in Medicine in 1982. He worked as an assistant at the Monthey District Hospital and then at the CHUV in Lausanne before working at the South-western Medical School in Dallas (U.S.A.). He returned to Switzerland and was appointed Head of Clinic at the University Hospital of Geneva. In Geneva, he was responsible for patients with major disorders requiring ultimately lung transplantation. In 1997, he was appointed as Head of the Pulmonary Clinic in Bern where he continued his interest in lung defenses and lung immunity. In 2003, he rejoined the Hôpital de l’Ile at Bern as Director and Physician-in-Chief of the Clinic and Polyclinic of Pneumology. In 2008, he was appointed Full Professor at the University of Lausanne and Head of the Pneumology Service of the CHUV. Prof. Nicod’s fundamental research and his interest in immune mechanisms in lung tissue is linked to a desire to build bridges between the different specialties involved in transplantation, as well as in asthma, cystic fibrosis and interstitial lung diseases. The creation of a Centre of Excellence in Immunology at Epalinges (Switzerland), with its research laboratories, provides a unique platform in Switzerland ideal for the development of pulmonary immunology conditions. The proximity of the EPFL also permits further valuable collaborations, with the presence of research groups interested in using nanoparticles for diagnostic or therapeutic purposes in the lungs, or infectious diseases such as tuberculosis.